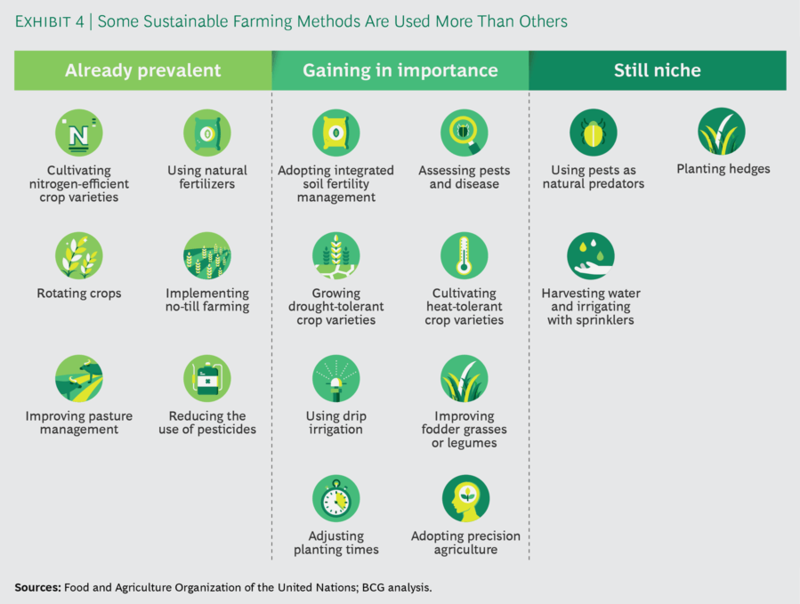 Editor’s Note: This article about sustainable agriculture first featured on the Boston Consulting Group blog and is authored by Torsten Kurth, Holger Rubel, Decker Walker, Alexander Meyer zum Felde, Jan-Frederik Jerratsch, and Sophie Zielcke. The original version can be found here. 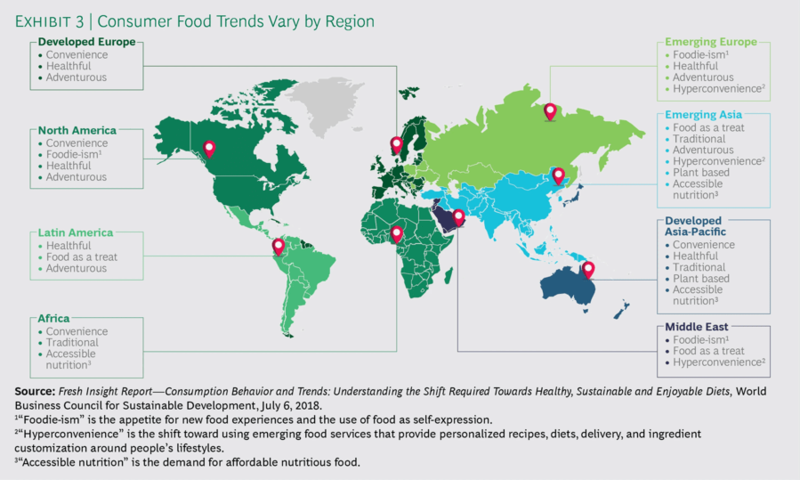 In the article, the authors discuss changing consumer food trends globally, including an increase in demand for sustainably-grown foods. This presents “a huge opportunity” for the existing agribusinesses — from seed companies to equipment manufacturers — and the authors present a list of to-dos for these businesses to approach incorporating sustainable practices. They also address the challenge around defining “sustainable” — often raised by farmers — and highlights certain sustainable farming methods. Regulators have paid more attention to sustainable agriculture in part because consumers have increasingly favored it. That presents a huge opportunity for farming equipment makers. 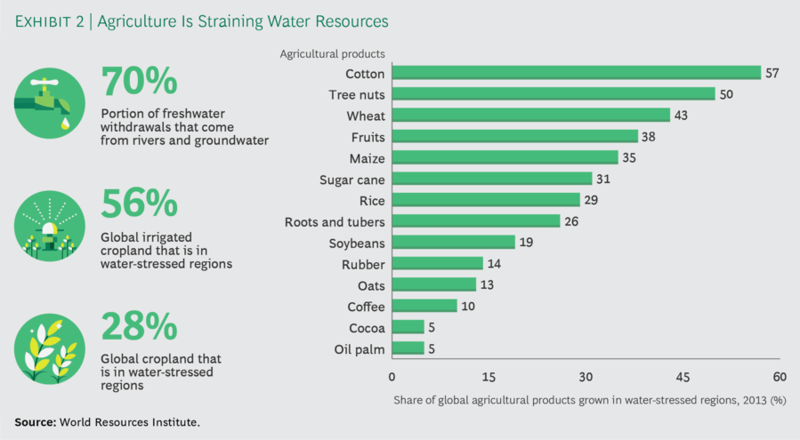 By enhancing drip irrigation systems with high-tech features that are designed to improve their effectiveness and reliability while cutting operating costs, manufacturers can fill a vacuum and solve a sustainability issue at the same time. The best of these systems are linked to the internet via the cloud and are automated, driven by sensors that determine the appropriate amount of water needed at specific crop sites. A recent study on the efficiency of irrigation methods and the potential for improving them found that replacing a surface sprinkler system with drip lines could reduce nonbeneficial water use by as much as 76% while maintaining yield production.